Front Row: Council Member, Mary Maday Slade; Mayor, Dan Burris; Council Member, Christy Hollander. Back Row: Council Members: Jay Mattingly, Hayden Hammett, and Tyler Alt. The Town of Leonardtown utilizes an online service called Auto Agent Software to provide information on property taxes, the amount, in the process of being paid or have been paid to avoid duplication. 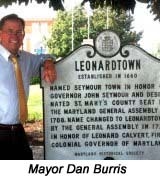 The Commissioners of Leonardtown adopted the Downtown Strategic Plan prepared by Mahan Rykiel Associates at their February 11, 2019 Town Council meeting. This plan is a product of many stakeholder sessions and public meetings. 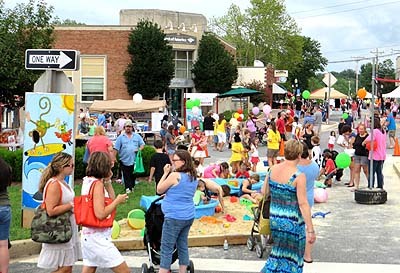 The plan will serve as a visionary document that shapes the future of downtown Leonardtown. The scope of the plan includes both economic and urban development strategies. Please take some time to read the plan found at the link below. Goode Companies, Inc. has acquired the Town’s trash contractor Affordable Refuse and Recycling, Inc.
Take a virtual tour of Leonardtown, complete with business and service information, via our new 3D map. The map features both street and aerial views for your convenience.